VeChain offers blockchain-based services for supply chains via its own native blockchain and tokens, VeChain (VET) and VeChain Thor (VTHO). By recording all products and/or shipments as transactions in their ledger, VeChain offers manufacturers, distributors, regulators, consumers, and other relevant parties the ability to track an individual product through the supply chain and assess its product life cycle. This is particularly useful in validating the authenticity of the product, its place of origin, shelf life, etc. A product on the VeChain platform is assigned with a unique ID that is stored in the blockchain ledger and tagged on the product with a tracking mechanism, such as an NFC chip, RFID tag, or QR code. Only stakeholders in the supply chain can transact in the supply chain with their own set of private keys. A server of decentralized VET networks (a.k.a VET masternodes) is then used to validate the transactions in VeChain platform. Once validated, the transaction is stored permanently on-chain. What is VeChain Token (VET)? VET is likened to the currency in the VeChain platform. All participants are required to use VET to exchange goods and services on the VeChain platform. What is VeChain THOR (VTHO)? VTHO is different from VET and is used only as a form of payment for undergoing transactions in VeChain platform. The main difference between VTHO and VET is that VET rewards VTHO over time whereas, VTHO is used as transaction fees in the VeChain platform. In summary, in the VeChain platform, goods and services are exchanged using VET and a small fee of VTHO is charged for every transaction made. VTHO is created to prevent creating excessive supply of VET. If VET holders are rewarded with VET, there is a likelihood that there might be too much VET circulating in the market, causing deflationary pressure to the price of VET. How do I earn rewards from VeChain? Advanced users can also stake their VET on any VET masternode to help validate transactions on the blockchain. How do I create or join a VET masternode? A 24/7 server or virtual private server (VPS) that is running on Linux, with a fixed IP address. If you don’t have the necessary time, capital, or technical interest to operate your own masternode, you’re in luck. 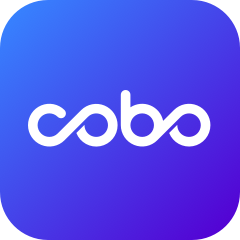 Cobo Wallet offers a custodial solution, allowing you to earn more from just staking your VET with Cobo Wallet. You can join our VET masternodes with as little as 100 VET. Users can earn more VTHO with Cobo Wallet (~24% annually), with staking rewards paid out weekly. For more information, visit our detailed article here.